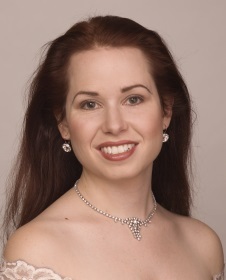 Sarah Mattox (mezzo-soprano) has appeared in principal roles with many companies nationally, including Seattle Opera, Cincinnati Opera, Palm Beach Opera, Chicago Opera Theatre, Lyric Opera Cleveland, Amarillo Opera, Eugene Opera, Tacoma Opera and many others. Favorite roles include the title characters in Carmen and Cendrillon, Rosina in Il Barbiere di Siviglia, the Witch in Hansel and Gretel, Dorabella in Cosi fan Tutte and Suzuki in Madama Butterfly. She received special acclaim for her debut as Feodor in Seattle Opera’s Boris Godunov. The Seattle Times said “…it was newcomer Sarah Elouise Mattox, in the ‘pants role’ of Boris’ son Feodor, who raised eyebrows all over the Opera House with her believable, lifelike acting and her well-schooled voice.” In Cleveland, the Beacon Journal called her “…a rich-toned mezzo-soprano who came to life as Dorabella.” Also at home on the concert stage, Ms. Mattox has made several appearances at Benaroya Hall with the Seattle Symphony. She has also been a soloist with the Northwest Sinfonietta, Cascade Festival of Music, Seattle Baroque Orchestra, Portland Baroque Orchestra, Helena Symphony, Bainbridge Symphony, Pacific Northwest Ballet, the Walla Walla Symphony, Portland Chamber Orchestra, Eugene Concert Choir and many others. Her chamber music group, TangleTown Trio, has been selected to perform multiple times in the Oyster Bay Distinguished Artists Concert Series in New York. April 2010 marked her fourth appearance as a concert soloist at Carnegie Hall.